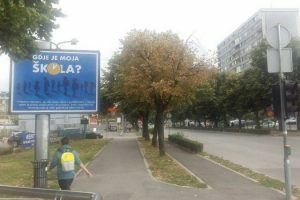 In the end of February, the media published that the Government of Republika Srpska bought a building of 9.077 square meters in East Sarajevo. The building is intended to accommodate elected representatives in BiH institutions from Republika Srpska, and the RS Government bought it for the price of 26.6 million KM. Taking into account that the financial situation of both the state and the entities is far from satisfactory, as the budgets are in constant deficit; and that the fiscal stability of BiH depends on the IMF loans, such an expense is highly justifiable. Even more so when one remembers that Zeljka Cvijanovic, the Prime Minister of the RS Government, has stated in her exposé that one of her goals is to make savings in public spending. This was also one of key points in Cvijanovic’s party election platform in October 2014. “Our goal is to implement the planed policies and reforms for building a more efficient and effective public services, which will provide better and faster services to citizens, with a lower cost. 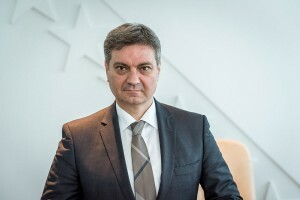 At the same time, with additional fiscal discipline, through the improvement of the process of collecting public revenues and increased control of public spending, we will ensure savings in public spending, and thus provide additional resources to support the economy”, Cvijanovic has said in her exposé, among other things. But the act of buying a highly overpriced building in order to house the representatives from RS is not just against Cvijanovic’s exposé announcements or SNSD’s platform. Purchasing this property is also in direct conflict with many promises made by all the ruling parties in the RS during their campaigns in both the 2010 and 2014 elections. In 2010, for instance, SNSD has promised to “identify unnecessary costs and make cuts in spending”, with lowering costs in the public administration and the public funds. Their coalition partner, SPRS, had also pledged to cut administration costs by 25%, but they have also specified that they will stop the allocation of resources for the housing needs of government and public officials. None of these promises were fulfilled. If we compare the material costs in the RS Government budget from the mandate of 2006 – 2010 with the ones of the mandate of 2010 – 2014, it shows that public spending in this area has increased by 8.979.259 million. The situation is even worse when data on gross salaries and reimbursements for employees are compared between the two terms. In the mandate of 2010 – 2014 this budget line item has even consumed 522.641.242 KM more than in the previous term. Therefore, instead of fulfilling the promise of reducing administration costs of 25%, the very expenses which were supposed to be cut have seen a significant increase in the previous mandate. This, however, did not stop the RS ruling parties from repeating this promise again in the 2014 election. Looking at DNS, the third coalition partner, their pre-election program also outlined the reduction of public spending, and the SNSD was talking about transparent and purposeful spending of public money. The justification of this expense is also highly problematic. 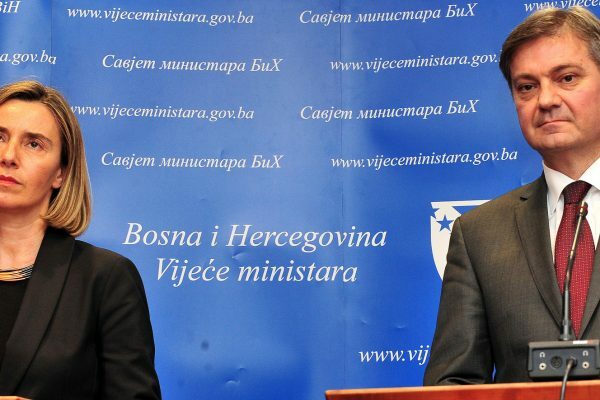 Each of the RS representatives in the BiH institutions is entitled to compensation for renting an apartment in the amount of 400 KM, which is more than enough money for these purposes and one of the expenses which could have been cut, since the MPs salaries are already high enough to cover these costs without them receiving additional benefits. Another disputable issue is the price of square meter of the building. Judging by the disclosed price, one square meter was paid nearly 3.000 KM, which is almost 500 more than what other BiH institutions paid for similar Real Estates in the same city. This deal gets to be even more interesting, since the actual price of a square meter of residential and business premises in East Sarajevo, generally do not exceed 1700 KM – a significantly more favorable price than the “deal” RS Government got for their new building. The fact that the SNSD devoted considerable space in its Program Platform for 2014 Elections to analyze the excessive spending of BiH institutions, and then planned additional 26.6 million for the accommodation of the RS delegates in the BiH Parliament, is a particular paradox in it’s own. With this move, the Government of RS showed utter inconsistency to both it’s Prime Minister’s statements and the programs of the parties which form this entity’s government. From the beginning of this term it has, thus, become definitely clear that the authorities in this entity have no serious intention to reduce the already cumbersome administrative costs, as they keep announcing.